The North American Pellet Market Quarterly is a subscription report covering the North American domestic heating and industrial pellet markets. The report, which will be updated at the end of each quarter, includes discussion and analysis of North American pellet pricing, production, trade, economics and market conditions. The quarterly report provides information, analysis, and discussion about all aspects of the pellet industry and, in the Q4 issue, short and long-term forecasts . The North American Pellet Market Quarterly is a subscription report covering the North American domestic heating and industrial pellet markets. The report, which will be updated at the end of each quarter, includes discussion and analysis of North American pellet pricing, production, trade, economics and market conditions. 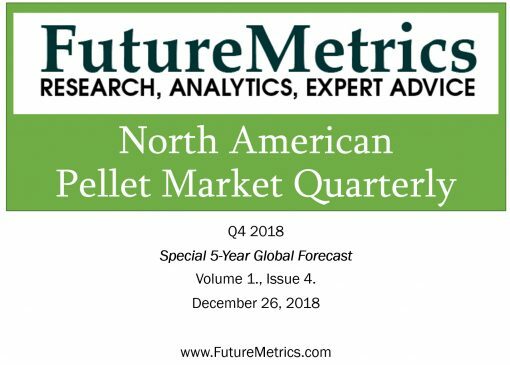 The quarterly report provides information, analysis, and discussion about all aspects of the pellet industry and, in the Q4 issue, short and long-term forecasts . 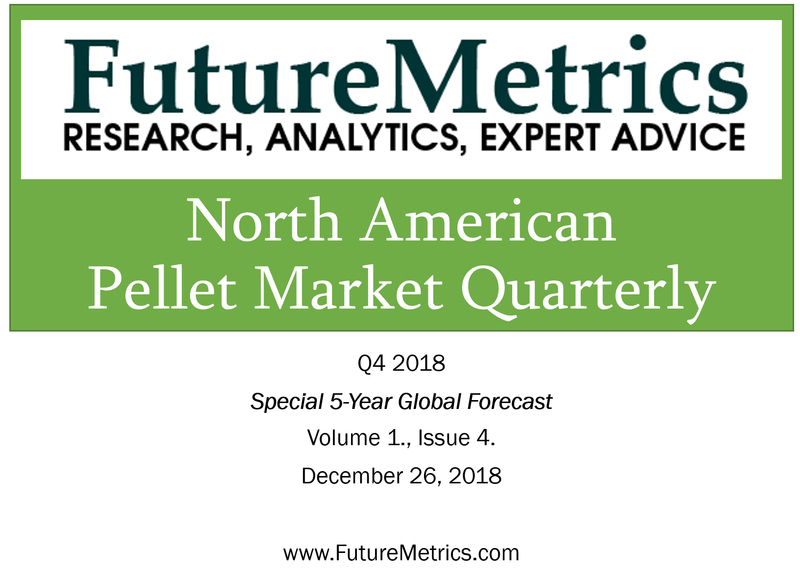 Most analysis focuses on the industrial pellet markets, but the FutureMetrics North American Pellet Quarterly covers both industrial and premium/heating pellets from a North American perspective. This publication provides strategic planning value to small and large producers, suppliers, traders, domestic and international buyers, and other forest product industry stakeholders.